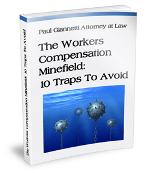 One of the most common defenses by insurance companies in New York State Workers’ Compensation cases involves issues of causal relationship. In order for medical treatment or lost wage claims to be valid, it must be shown that there is a causal connection to a work related injury. 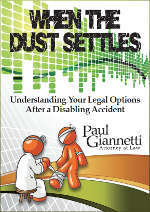 Issues of causation are often resolved through the deposition process. Doctors are questioned in detail regarding their opinions as to why a person has a certain medical condition and/or lost time from work. If someone has more than one injury or accident to the same body part causation can become more complicated. The Judge will review the medical opinions regarding the source of the medical condition and make a determination and whether it related to a particular Workers’ Compensation claim. If you have had multiple injuries to the same body part and issues of causation exists in your case, you would be well served in consulting with a Workers’ Compensation attorney.